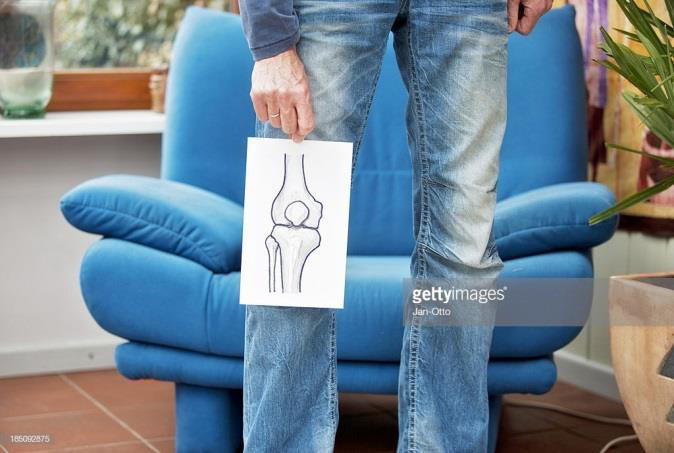 Osteoarthritis (OA) is the most common joint disease in the U.S. affecting more than twenty million Americans and costing billions of dollars each year. It’s due to the wearing down of the joints — a degenerative disease of aging, more common in women and localized to the joints. It doesn’t spread to the internal organs. Healthy joint cartilage is smooth, rubbery tissue that allows bones to slide over one another at the joints. It’s the cartilage located in the area where two bones come together as in the knee, hip and fingers. It cushions and protects the ends of bones. OA erodes joint cartilage causing it to break down and wear away. When bone rubs bone, this disease can cause joint stiffness, swelling, bone erosion and pain. As the disease worsens hard bony bumps (bone spurs—osteophytes) can form on the bone around the joints. Amanda, 63 years old, has gained 34 pounds over the past 11 years. Four years ago she noticed stiffness and pain in her knees that progressively worsened. “I didn’t pay much attention when my knees felt a little stiff and I had a little bit of pain. It didn’t last long and I could move around and walk it off. But the stiffness lasted longer and the pain got worse and worse. I began to have trouble bending and stooping to pick things off the floor. It took me forever to walk down stairs because of the pain. I now have trouble walking. Stiffness and pain are the most common symptoms of OA. At times, people might hear a crackling or grinding sound when you move the joint. OA is localized to the joints and doesn’t spread to other parts of the body. Inflammation of the joint is minimal if at all present. 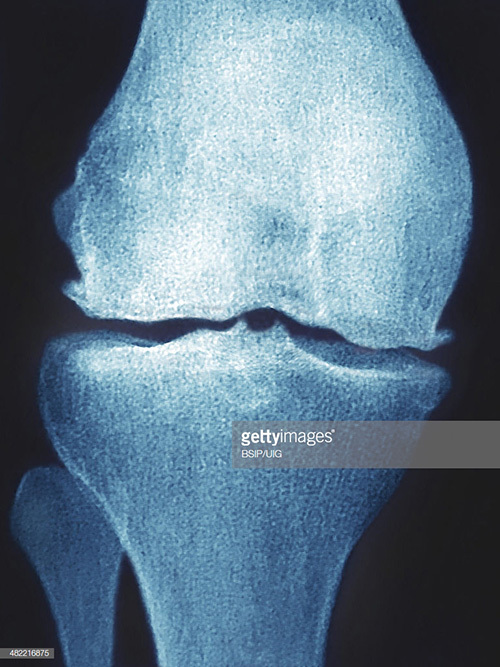 Stock photos Getty images X ray — Osteoarthritis of knee in an overweight woman. At top is the femur (thigh bone), at bottom is the tibia (shinbone) with the smaller fibula to the right. Medical conditions such as hemophilia with bleeding in the joint can cause OA. Rheumatoid arthritis and gout over a period of time can lead to OA. Education is the bedrock of treatment. In Amanda’s situation, she acted on the advice of a nutritionist, learned about healthy eating habits and lost 30 pounds. She also benefited from a supervised walking program suggested by her physical therapist. Her therapist also suggested she revisit her once great love of swimming. Medications play a significant role in OA from acetaminophen to capsaicin cream. For people with knee OA, steroid injections have proven to be helpful. Good results have been achieved with knee and hip replacements coupled with education about OA. Bone spurs (osteophytes) not infrequently are present in the hand joints. Obesity is a risk factor for knee osteoarthritis. 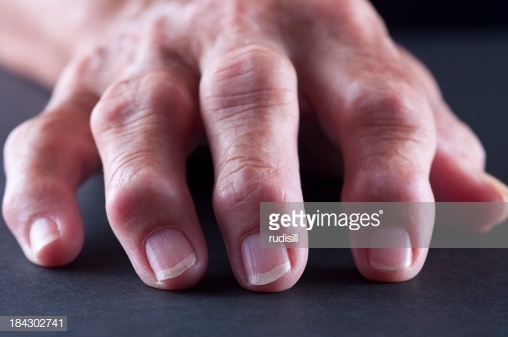 Osteoarthritis is an important cause of chronic disability in older adults. More women than men have OA. OA is most common in older adults but younger people experience OA as well. Education is the bedrock of OA treatment.